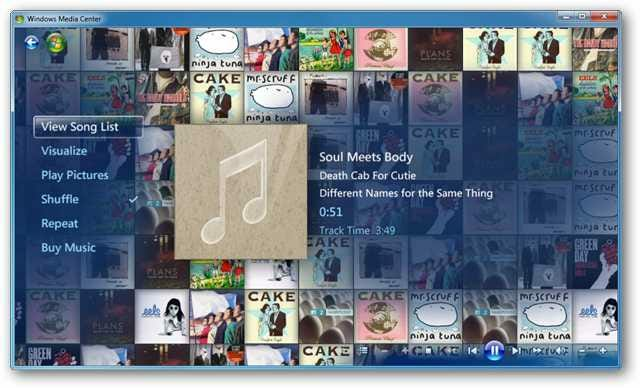 Do you wish you could just jump right into playing music when you open Media Center? Or maybe just skip that start up animation? 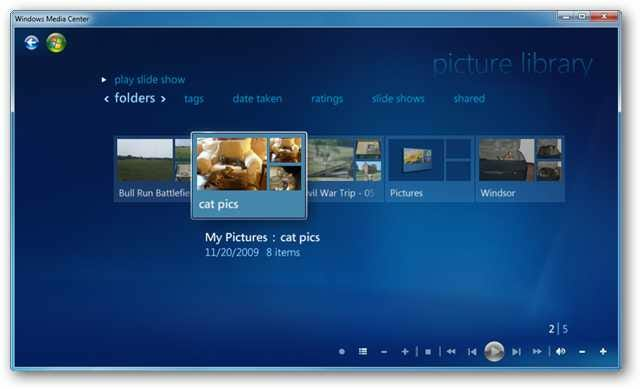 Today we are going to show you a variety of startup switches that will allow you to customize the way Media Center opens in Windows 7. We will be adding all of these switches to the end of the Target, on the Shortcut tab in the properties of Windows Media Center. 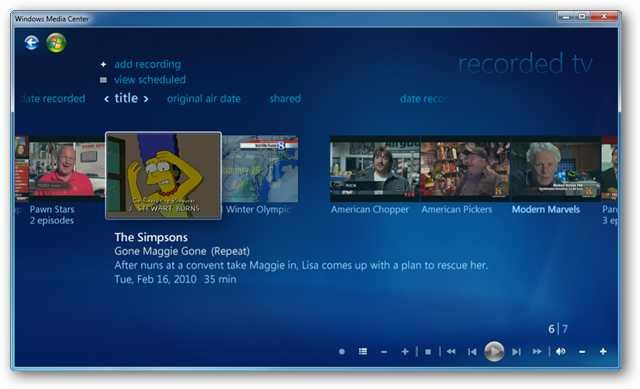 If you start Media Center from the Start menu, go to Start > All Programs, right-click on Windows Media Center and select “Properties.” If you launch Media Center from a desktop shortcut, simply right-click on the icon and choose “Properties.” On the “Shortcut” tab, you will see the Target box with the text string: %windir%\ehome\ehshell.exe. This switch opens Media Center without it’s animation and music. It doesn’t seem to open Media Center any faster, but if you are annoyed by the animation and music, this will rid you of both. 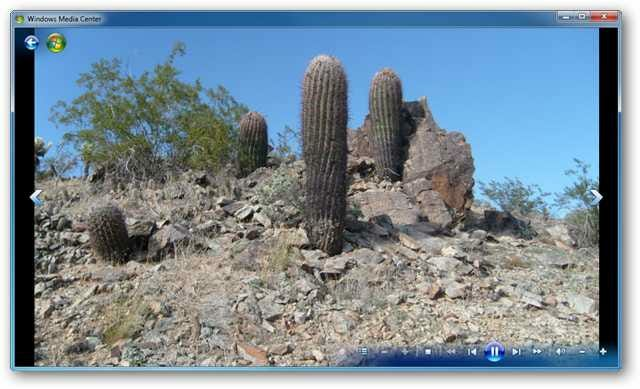 Media Only mode keeps Windows Media Center displayed in full screen with the minimize and close buttons hidden. A small padlock will appear in the top right corner next to the time. 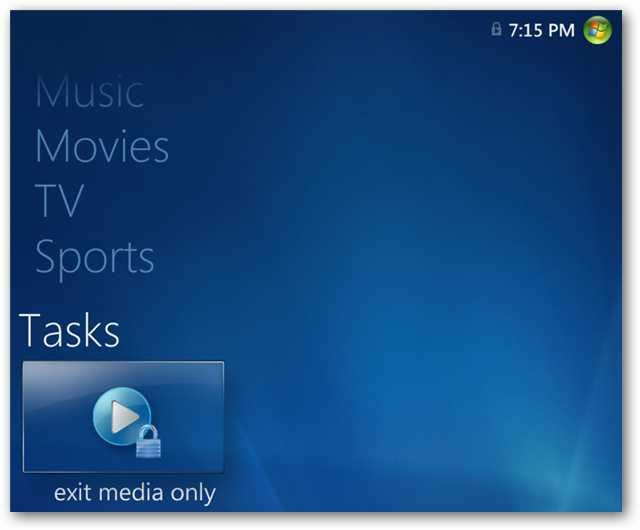 You can turn off Media Only mode from within Media Center by going to Tasks > Exit Media Only. If you prefer to look at things from right to left, you may enjoy RTL mode. This switch essentially flips the direction of everything in Media Center. You’ll notice that in windowed mode, even the close, maximize, and minimized buttons are flipped to the left side. This switch disables the Shut Down tile under Tasks on the Windows Media Center Start menu. This can be especially useful for preventing family members from clicking shut down and turning off your PC when it needs to stay on to record your favorite shows. This switch opens Media Center without the window frame and doesn’t display an icon on the task bar. It’s got a cool appearance if you don’t mind not being able to either move the window around with your mouse, or easily exit out of Media Center. To escape this mode once you’ve entered it, double-click on the green Media Center logo at the top left to pop it into Full Screen mode, then click the ”X” at the top right to exit. Start directly in the Video Library in Full Screen mode with this switch. If you want to dive into your recorded TV shows right off the bat, this switch will open Media Center in your Recorded TV library in Full Screen mode. If pictures are more your thing, try opening Media Center in the Picture Library in Full Screen mode. 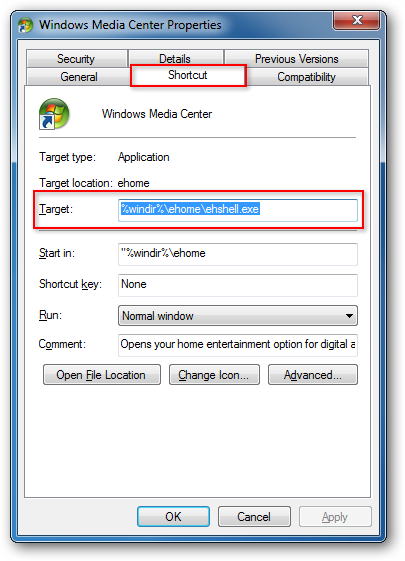 If you use Windows Media Center more for music than Video or TV, you may want to try this switch on for size. 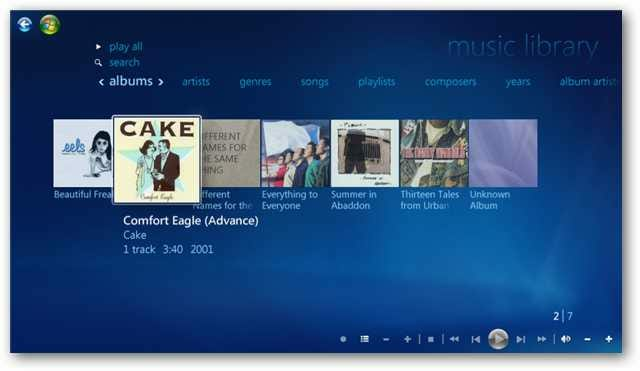 It opens Media Center in the Music Library in Full Screen mode. Start your music collection playing on startup with this switch. If you’d rather start up to only your favorite songs, try this switch instead. 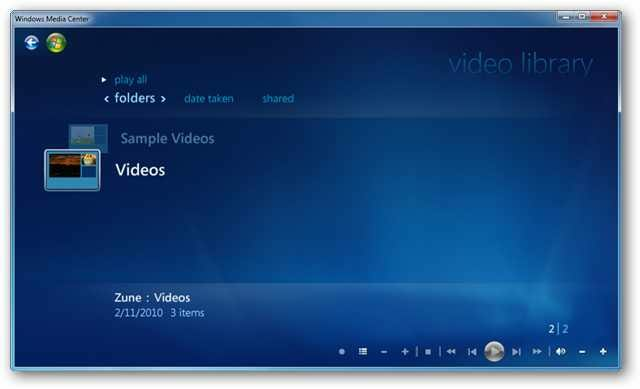 Start off Media Center with a slideshow accompanied by your music. Or play the slideshow with only your favorite music. If you prefer only a slideshow on startup, try this switch. Or a slideshow of just your favorites. 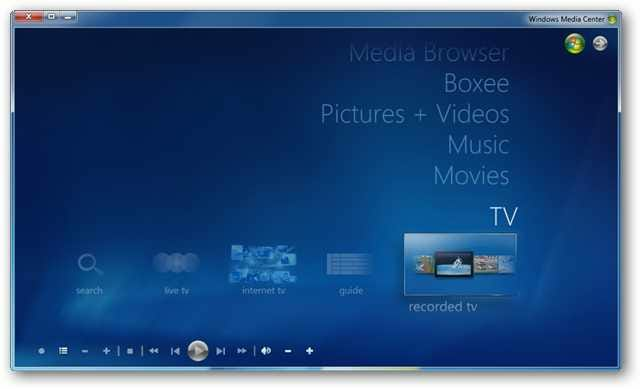 Some of these switches will help you customize your Windows 7 Media Center experience to your liking. Others may simply be more interesting than useful. 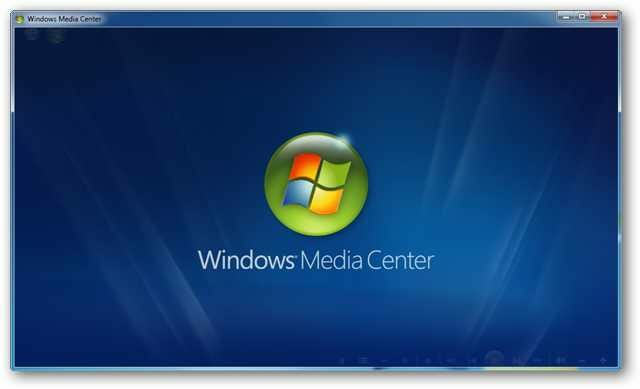 If you like these switches, and use Media Center primarily to watch Live TV, you may want to check out our previous article on Starting Windows 7 Media Center in Live TV Mode.